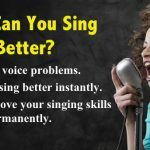 Home » Vocal Health » Are You Breathing Wrong When Singing? Are You Breathing Wrong When Singing? Leaning how to use the correct breathing technique while singing is very important for anyone who loves singing, irrespective of the genre. A minimum 95% of people who love to sing looks forward to singing correctly. A good number of them also keep wishing that they could make amazing sounds just as the velvet-throated singers (Josh Groban and Julie Andrews are great examples). Although you might not believe in yourself, you have all the capabilities of making a great difference if you can master the breathing part of singing. Here, I will be pleased to share some tips that will boost singing and the guidelines you ought to follow to avoid spoiling your voice. Why Is Breathing Important In Singing? How To Know You Are Breathing Wrong? Breathing is the most important component in singing before every singing techniques and skills you have ever learn from your vocal practices. Most singers recognize that breathing is the most fundamental skill they needed to master. But, sadly many of them just choose to ignore and don’t take sufficient effort to train themselves to develop a proper breathing technique that will make their singing voice and skills even better. Clearly, the breathing part of vocal training seems to be too boring for most singers. Most beginner singers tend to focus more those advanced and fancy vocal skills such as mix voice, hitting higher notes, vocal fry and vibrato singing skills instead of focus on the most basic and fundamental singing skill that they needed to handle initially. 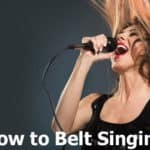 In fact, breathing skill is the backbone of all the other singing skills as they need the proper and sufficient breath support to perform all the singing techniques and skills adequately. And it is conducive to the better vocal health, powerful and strainless singing. Breathing is the mother of all the singing techniques and skills as most of them needed a proper breathing to facilitate its implementations. It is crucial for you to control your breath correctly because it has a significant stake in your singing quality. Unexpectedly, on the other hand, quite some advanced singers are not aware of the means for them to use for controlling their breath professionally and how they have the capability of maintaining their voice box devoid of spoiling it for a prolonged time. The main reason for this is because singing using inappropriate breathing overtime can destroy your voice permanently. To be aware of the fact that you can sing with appropriate breathing techniques, here are some concerns and factors you can refer to check whether you are breathing wrong when singing. Do you usually stop halfway when singing due to breath loss? Do you experience voice loss after singing for short period of the singing session? Do you undergo tension concentrating in your throat while singing? Do you feel the shortness of breath while singing? Do you feel the strain/tension in your chest and vocal chord while singing? If you answered in the affirmative, it means that you usually sing with inappropriate breathing and you need to stop doing that and rectify it by mastering the correct singing techniques. You should breathe through the diaphragm, which is underneath your rib cage and not via the throat. This is because the diaphragm inflates on the four sides to give more room for air. Maintain your initial position without changing until you are almost taking another gulp of air. The primary explanation for this is that your body adjusts appropriately as soon as you start and abruptly altering it can change your tone. Take some time off to watch an opera singer and access whether you notice minimal movements in them. This ensures that you maintain the position of the singer’s back that extends backward when taking the controlled breath. In the intervening time, the throat of the singer is usually relaxed or open. The worse thing is that it can even result in the formation of vocal nodes in your throat. These vocal nodes are described as small callus that looks like bumps forming on your vocal cords inside your throat. Prolonged inappropriate breathing might lead to the development of throat nodes and rectifying this condition might engage some surgery. Therefore, it is important for you to be in command of your future as a singer by controlling your breath. Most likely, you are wondering how you can achieve this. Well, this is not a problem. Underneath, in my signature, you will come across a great resource that will improve your singing and make you a professional singer if you follow the tips provided. The prolonged strains in throat and vocal chords is also one of the causes of throat nodes development. This is called vocal tension which is done by forcing your voice into singing. When you sing with the wrong technique in breathing, you’ll feel that your throat is somewhat tensed. This practically means that you’re putting too much strain on your vocal cords. 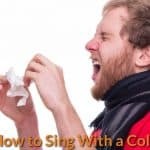 As you continue reading this article, you’ll find below some important singing tips that you can follow to sing properly and at the same time, prevent damage to your vocal cords. Forcing the strength of your voice causes vocal tension which is considered as one of the most harmful things that you can do to your vocal cords. This results in a lot of vocal related problems. Experiencing short of breath in singing. Otherwise, this can result in a toneless and raspy voice that can be cured only through vocal therapy and surgery which could last for several months. In general, these problems can be considered minor, and you can still correct them by following the proper singing methods that deal with the correct breathing technique. Most of the vocal health related problems in singing can be fixed by applying the right way of breathing. Peppermint herbal tea is one of the quick remedies to clear the phlegm that sticks in your throat. Most singers suffer from the unsmooth breathing and strained throat due to the phlegm or mucus that adhered to the back of their throat. You have to clear it out. Otherwise, your voice will suffer. Furthermore, peppermint tea also can help to reduce the mucus and phlegm production if drink it regularly. Honey is also an excellent natural food to smoothen your throat if you have suffered from the strained vocal chords that caused by improper breathing techniques during the singing session. You can try the Jarrah honey for better and faster result. Steaming is one of the old-school ways to relieve and relax your vocal chords and throat especially after the intensive vocal exhaustion. Most singers found that this method is very useful to relieve the vocal fatigue after an exhausted singing session. You can do it by boiling up a pot of water, and breathe in and out with a towel covered on your head. Eventually, you should correct your breathing technique in order to stop and rectify these severe consequences that caused by the wrong breathing method you have been developing over such an extended period of time as long as you can remember. In other words, you have to rehabilitate your breathing patterns for singing. And you can find out more about these correct breathing exercises and techniques to solve your breathing problems permanently for good. Why Eating Affect Singing Voice?